Nematodes are one of the creatures that display eutely. Eutely, or cell constantly, refers to a specific number of cells in the adult form of an animal, consistent across the species. Only very small animals, usually less than 1 mm in size and with less than 100,000 total cells, are eutelic. Some examples of animals displaying eutely include rotifers, nematodes, tardigrades, gastrotrichs, and dicyemids. Although all eutelic organisms have cell constancy in common, their cell size may differ by many orders of magnitude, and a 1000-cell organism can range in size from 0.1 mm to over 10 mm. Eutely occurs when the initial embryonic cells each come with a limit for total divisions. After this limit is reached, the organism can only become larger due to cell enlargement rather than cell division. Eutely can be contrasted with most other animals which have an undefined number of total cells. 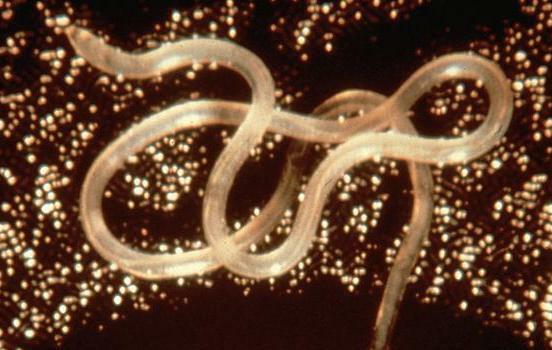 Eutely may also occur at the organ level, such as in the eutelic nematode Ascaris, which always has 162 neurons. Eutely can be helpful for scientists seeking to analyze the specific developmental history of each specific cell in an entire organism, or see how an organism's genome (genotype) relates to its biological form (phenotype). It makes a given organism easier to understand, the most notable example being in the nematode C. elegans, one of the most-used and best-understood model organisms in science, alongside mice and fruit flies. The smallest eutelic organisms are simple worms like the dicyemids, parasites that live in the renal appendages of cephalopods, ranging in length from 0.1 - 9.0 mm. Dicyemids may be fixed at as few as 20-30 cells. Some algal colonies such as Eudorina, evolutionary intermediates between unicellular and multicellular organisms, display eutely, with colony sizes always being 32, 64, or 128 cells. These cells communicate with each other chemically in a process called quorum sensing to ensure that the total number of cells in the colony remains constant over time. What are Some Differences Between Plant and Animal Cells?